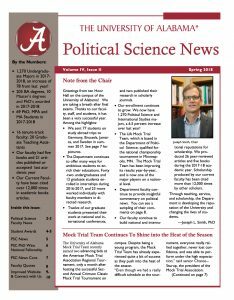 Each semester, we publish the UA Political Science News, which reports the latest news on the accomplishments of our students, alumni and faculty. If you would like to be on our list to receive a copy of the newsletter as soon as it is published, please contact our main office.  Also, we always love to hear from our alumni, so please send us an update and let us know what you are are up to. We will publish these updates in future editions of the newsletter, as space permits.